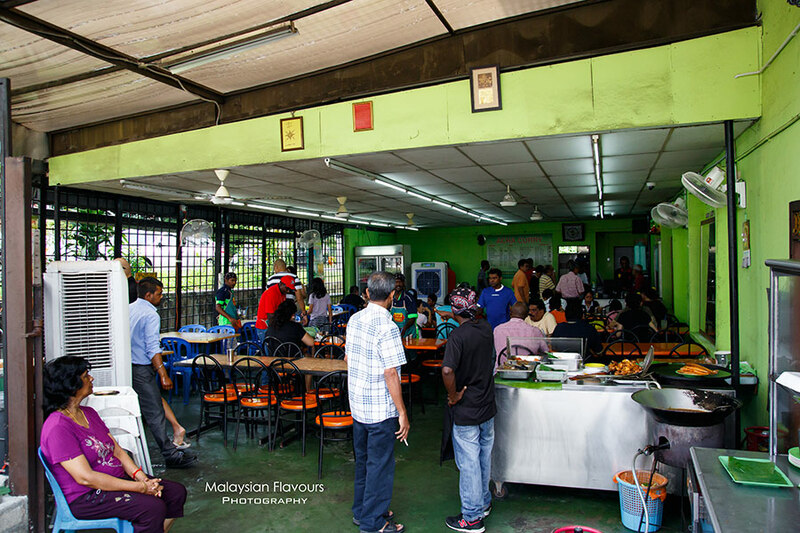 Acha Curry House at Bukit Gasing Petaling Jaya – Come for their famous Banana Leaf Rice with Crab Curry and Salted Fish Curry, stay for their Deep Fried Ikan Tenggiri, Sambal Ikan Bilis and Deep Fried Bitter Gourd, finally wash down the food with a glass of icy cold Mango Lassi. 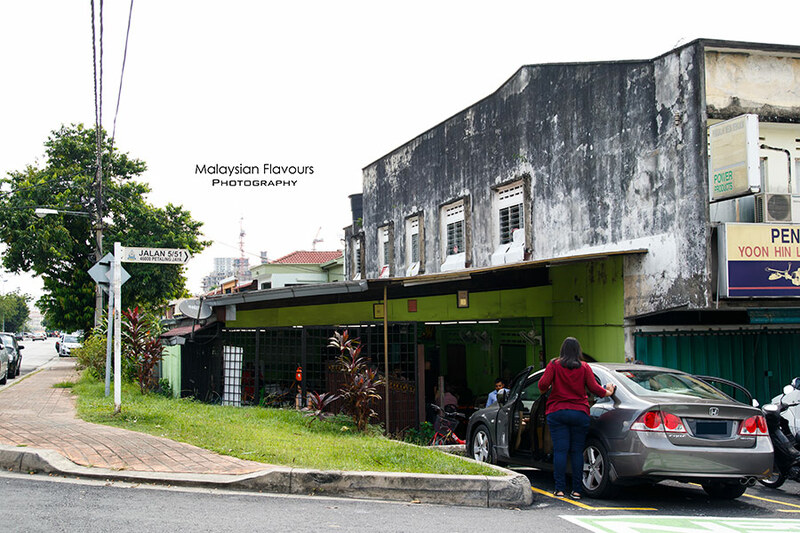 We aren’t a frequent visitor to any Banana Leaf Rice Curry House in town but being a Malaysian, we do crave for this delicacy occasionally. 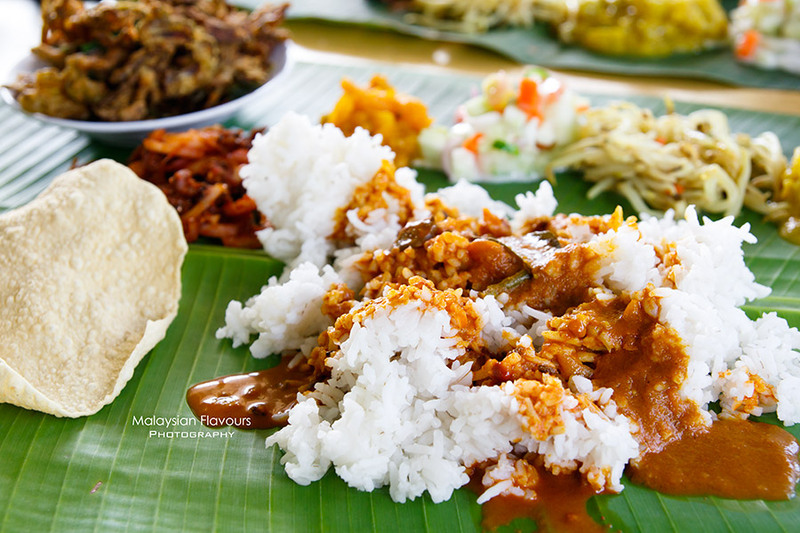 A serving of white rice drenched over with flavourful, rich curries, sided with vegetables to form a basic set of banana leaf rice, normally priced within RM5 to RM8 depends on location. 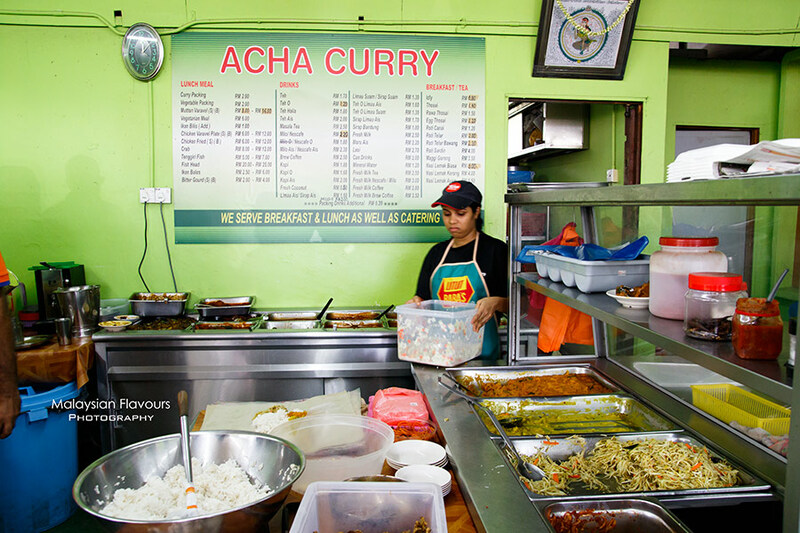 Acha Curry House is mentioned as one of the best banana leaf rice in KL & PJ, well-known for Crab Curry and Salted Fish Curry, which not every curry house has. 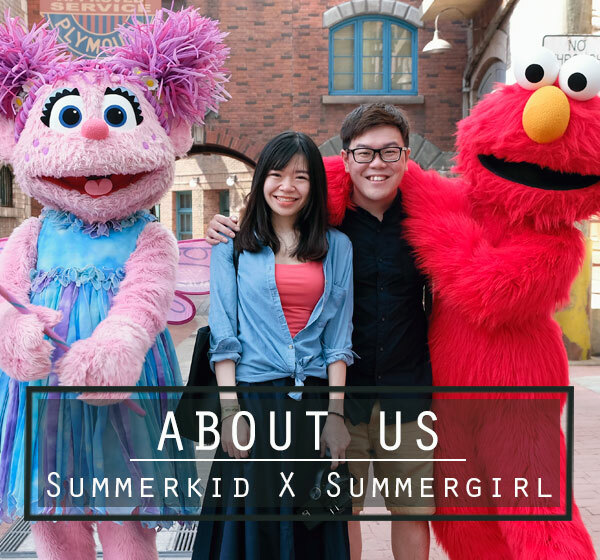 The restaurant is just one street away from KunThai and Soi 19 Thai BBQ, opened from early morning till late afternoon. We visited Acha at about 11.30AM last weekend, still empty but after half an hour, it was fully occupied. So, suggestion, go for super early lunch to avoid crowd. 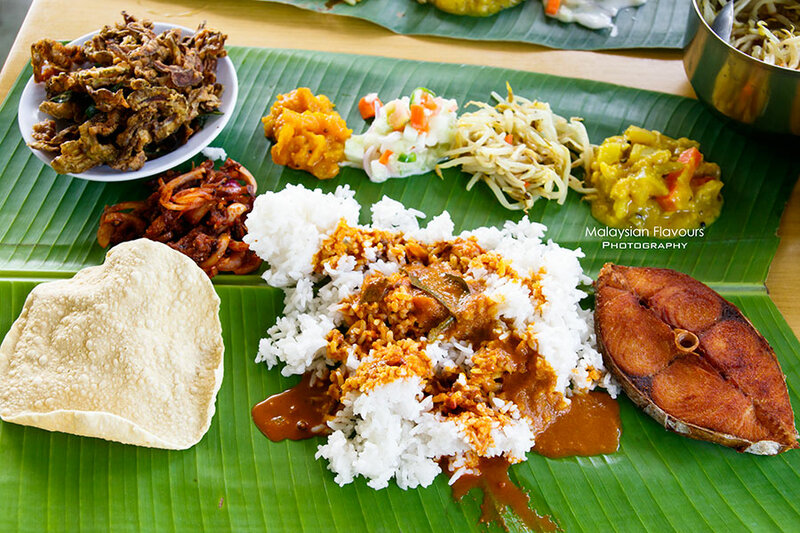 The eatery serves only banana leaf rice during noon time. 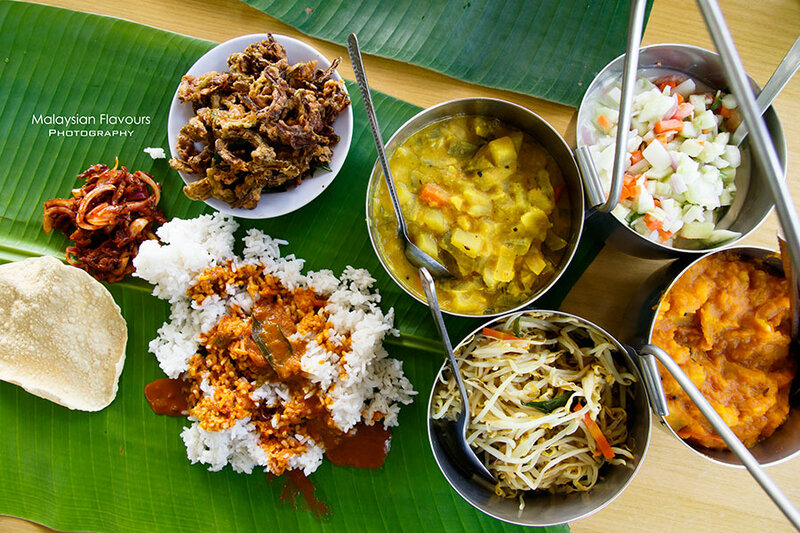 Staffs will come over to your seat, place a piece of banana leaf on your table, and ask whether you want to have white rice or Indian rice. 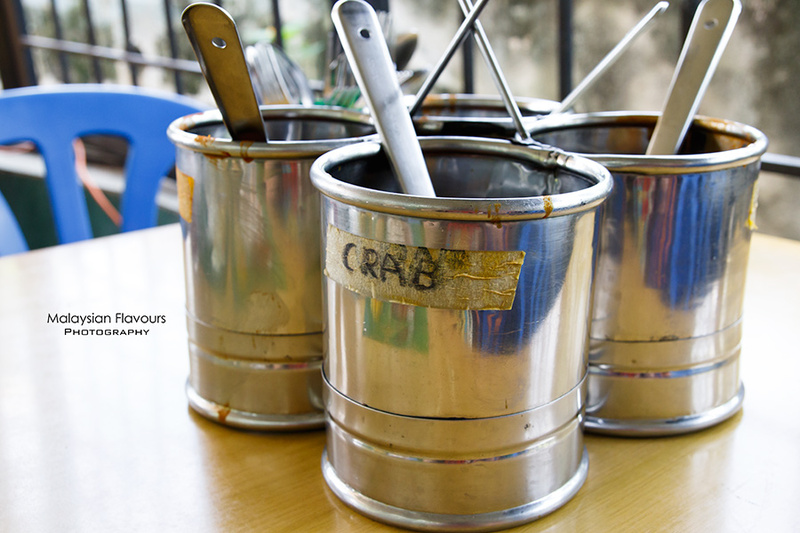 Then, they will bring to you few trays of steel containers, filling different types of curries and vegetables. Scoop according to the amount you need, and refill as you wish to. There are 6 types of gravy you can opt for : Chicken curry, fish curry, onion curry, dahl, salted fish curry and crab curry. Crab curry has thickest consistency among the rest, more creamy, mild at the first sip with spiciness slowly develops through. For salted fish curry, We could barely trace the taste of salted fish while for chicken curry, fairly decent. We love to mix all gravy together and “banjir” (flood) them on our rice for the best taste. Each set (vegetarian meal) is priced at RM6 (rice + curry + vegetables + papadum only). It still cost you the same even if you had only rice, and no sharing of banana leaf rice is allowed. 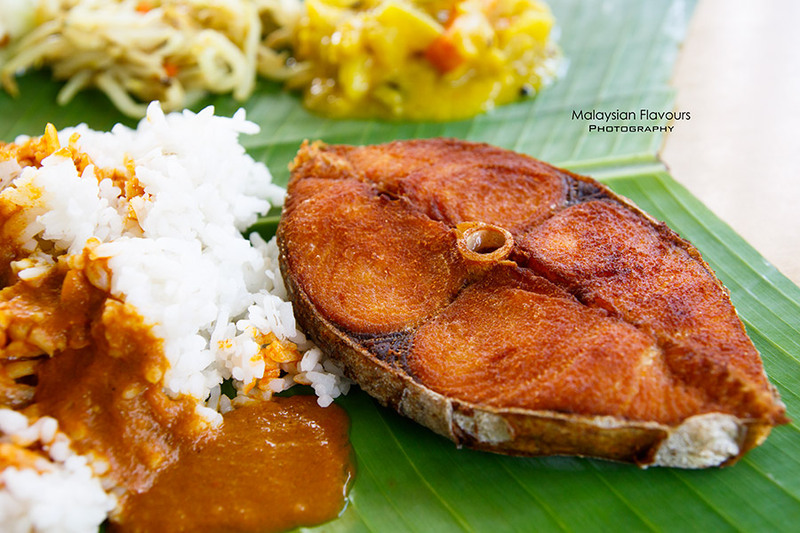 You can add on other side dishes including Tenggiri Fish, Crab, Fried Chicken, Ikan Bulas, Fish Head Curry, Mutton Varavel and Chicken Varavel. Food menu is on the board. We ordered extra portion of Deep Fried Ikan Tenggiri. Meat was fresh, jacketed with thin layer of deep brown crispiness. Make sure to have a helping of Acha Curry Sambal Ikan Bilis (RM1) too, as it is surprisingly good. Crunchy anchovies helmed with tangy, spicy accent of onions, tossed in fiery hot chilli. Appetizing. Deep Fried Bitter Gourd is also the must order, but we found it just OK. Personally felt that it was sliced too thin, leaving the bitter gourd to only crunchiness in every bite after deep fried, lacking natural juiciness. Despite so, still addictive to munch it like snack. 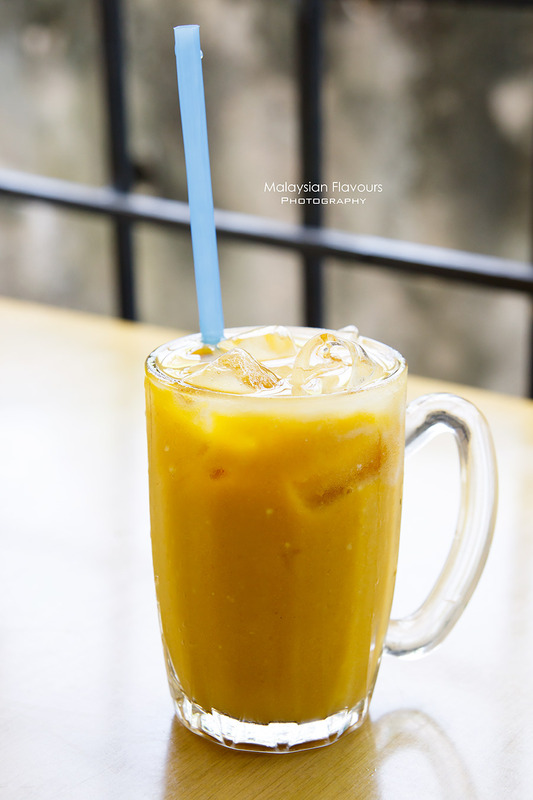 Total bill come to RM28.60 for two including Teh O Ice Limau (RM1.60) and Manggo Lasi (RM4). Consider reasonable. No service charge and tax by far. 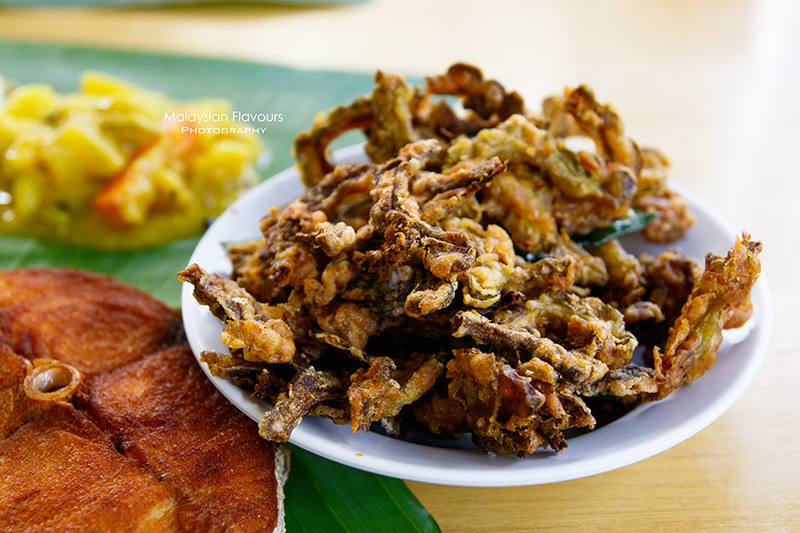 Our recommendation: Ikan Bilis Sambal and Fried Tenggiri Fish.